Cooling coils trap dust, soil, grime, and other troublesome deposits that reduce the heat transfer efficiency of HVAC units. If the coils are dirty, the airflow becomes blocked which requires the Air Handling Unit blower to draw more energy as it tries to move air through the clogged coil. This will also create additional strain on the condensing unit. This additional strain will result in the loss of efficient cooling throughout the occupied space and lessen the life of the system components. Although a coil may look clean on the surface, the majority of the debris is logged within the coil. 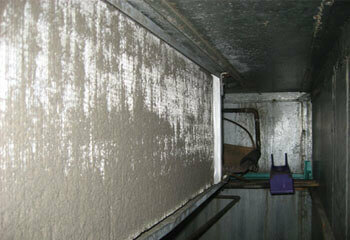 What most people see is dirt accumulation on the fins that are designed to protect the coil. 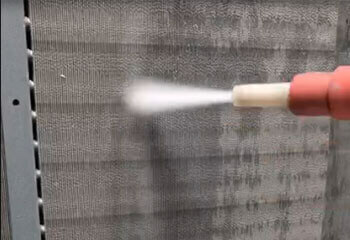 Coil cleaning will ensure efficient air flow through the Air Handing Unit which helps for optimal system efficiency. The condensate drain which is designed to let the moisture / water escape from the coil, can become clogged causing standing water. - Why clean solar panels? Solar panels are designed to absorb the sun's rays as a source of energy for generating electricity or heating. Due to the upwards angle of solar panels, they are more prone to bird droppings dust and dirt that does not wash off with just rain. This build-up of Dust, dirt, pollen, bird droppings and other debris reduce the amount of light hitting the panels and adversely affect optimal Solar Panel Efficiency. 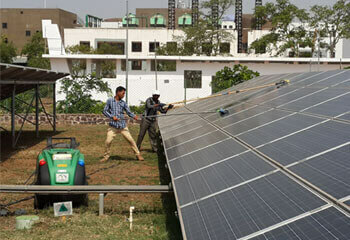 - Cleaning solar panels that had been in operation for 15 months doubled their output of electricity. Rain is not a satisfying way of cleaning solar panels. 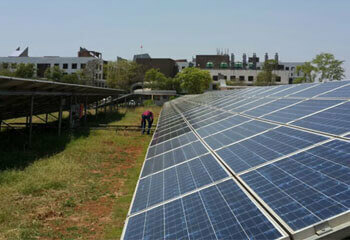 Solar panels that were cleaned professionally had a 12% higher output of electricity compared to those cleaned by rain. This literally means that they will generate 15-25% less electricity, which you will have to source from the utility company at their price rates. This easily adds a couple of years extra on the payback time. So it is important to clean solar panels in order to protect and maintain your investment. 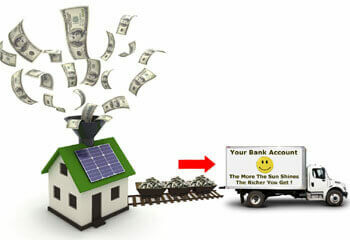 Regular solar panel cleaning will also help you to make the most of the government feed-in tariffs. Solar panels does not have any moving parts, which is why there`s not a whole lot of maintenance to take care of. However, cleaning is one aspect of solar panel maintenance that should not be taken lightly.